Wabi is one of the most sought after series as it is a Juraku series with wara (straw). 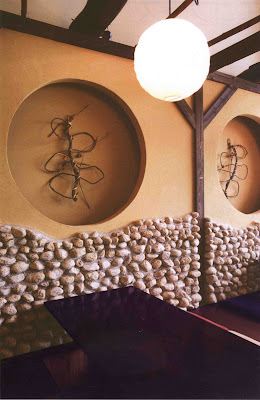 Composed of sand, diatomite earth and straw, the effect is a straw laced earthy and neutral look wall which enhances the Zen ambiance of the room. Comes in 15 neutral colors and earthy tones, Wabi is a truly meditative piece of art. I also suggest adding extra sachet of wara straw (40g to one bag of dry material) during mixing process. This summer will definitely become cooler with Wabi~ For exterior application, Sabi is avaialble.